RESOURCES — Ready, Set, Read! We're proud to be part of a larger network of organizations focused on ending illiteracy both in Los Angeles and across the nation. Below you will find a list of like-minded groups and resources for the families we serve. We are a project of Community Partners, the premier incubator of emerging charitable groups and civic initiatives in Southern California. We're also a proud member of the Children's Literacy Coalition of Los Angeles. Access Books provides quality, high-interest books to school, classroom and community libraries. 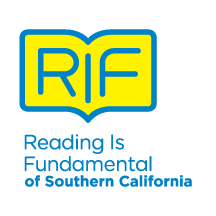 Reading is Fundamental of Southern California promotes literacy and motivates children to read by providing new books to create home libraries for underserved children in Southern California. The National Center for Families Learning provides tools to assist in literacy and educational development across the country. The National Association for the Education of Young Children (NAEYC) works to promote high-quality early learning by connecting early childhood practice, policy, and research. The Harvard Family Research Project has helped stakeholders develop and evaluate strategies to promote the well being of children, youth, families and their communities since 1983. The Los Angeles Times' Reading by 9 program offers a free parent guide. Call (877) 732-3999 to receive a free copy.